I am SO sick of companies thinking that if they give you a taste of content that they’re entitled to blast you with tons of worthless, one-way advertising. Disgusting. 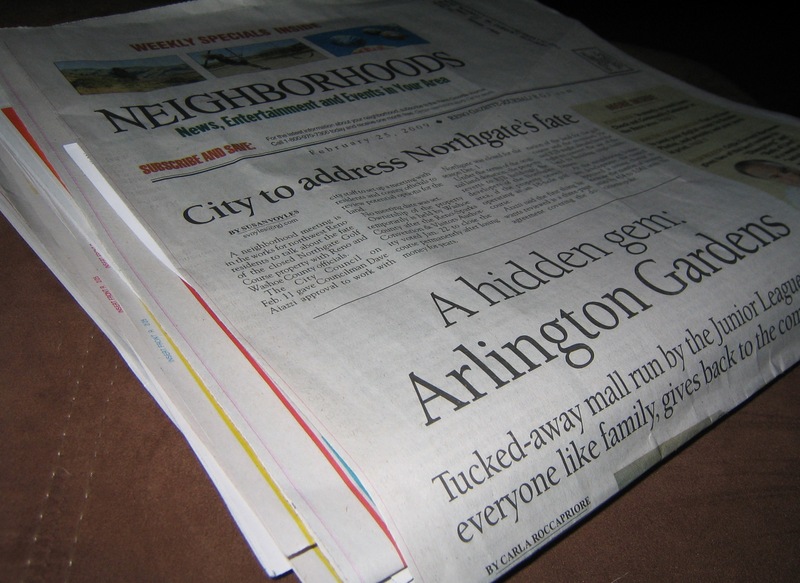 A few times a week, I have to endure receiving the “Neighborhoods” version of the Reno Gazette-Journal in the mail. There are a lot of problems with this publication, despite it not delivering on its promise of news in my area of town. This publication is nothing more than a shell for advertising. In this latest issue, it contained 3 pages of content/articles (and 2 of those three pages contained some advertising), and 214 pages of advertising. I’ll repeat those stats – 3 pages of articles, 214 pages of advertising!!! That’s almost 99% advertising. I know, you’re wondering how the hell that’s possible. I must have my numbers wrong. Nope – I counted three times (I’m careful, plus I often waste my time if I can make a point). 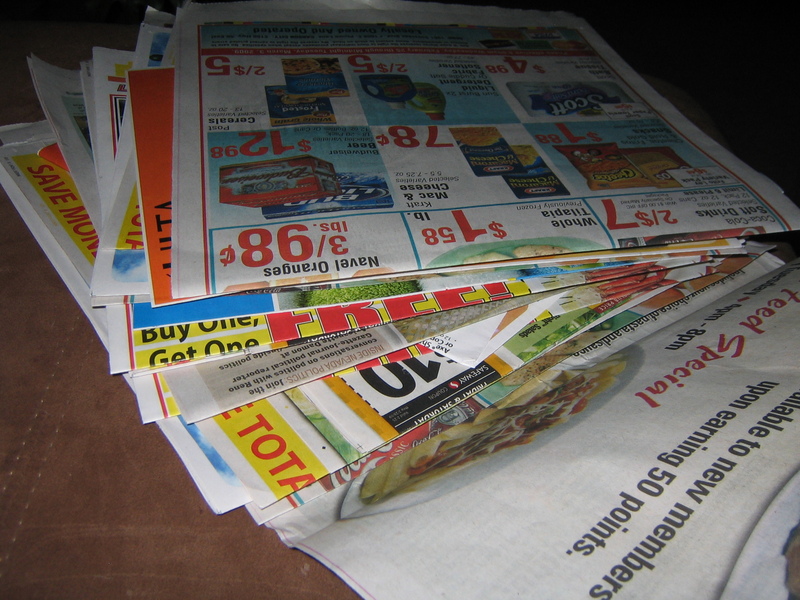 Of the flood of ads I received in my newspaper, how many were relevant to me? Who knows? I don’t. I typically throw this whole package away because I know that I am not getting any relevant content in that publication. Advertisers – you are wasting your money! It’s no surprise to see that consumers are growing increasingly weary of this kind of “interruption advertising” and turn to communication channels in which they can better control the interaction. Yes, I’m talking about everybody’s favorite hot topic – social media. Sadly, advertisers are already in full stride toward the gold rush that is social media, and treating it the same way they’ve abused mass media. This parasitic behavior makes me ill and angry all at once. Some advertisers are slithering their way into the established communities in different social media channels, and treating it like their own “Neighborhoods.” Are they giving members of their communities valuable content, meaningful conversation or a symbiotic relationship? Nope. They treat it as a new place to put their ads (and advertisements take many forms). I am warning advertisers again, that you should treat social media like this only if you want to fail. You think you’re participating in social media? Re-examine that notion – because if you’re not “playing by the new rules,” you will fail. Have you created a blog and are simply posting your press releases there? Fail. Maybe you created a Facebook page – but is there any community interaction other than you blasting out promotional messages? Fail. Maybe you have a Twitter account so that you can syndicate your blog entries of your press releases. Fail. Are your YouTube videos nothing more than advertisements (be honest)? Fail. I encourage diversification of your presence in social media – but you have to think differently in this arena. It’s not another advertising platform. It’s a community-based form of communication. If I invited you over to my house for dinner, and all you talked about was how Cinnamon Toast Crunch was $2.95, or that your new pickup truck had 250 horsepower or some other way I should come spend money with you… I would never invite you over ever again. Please understand the analogy here. So – anybody who is putting out content – be it in publications or in social media – evaluate your communications. How much of it is promotional? Don’t let it be 99%. Not even close. I was prepared to write about brands on Twitter. I was going to argue that brands definitely should be on Twitter (based on a recent discussion that I read on Mashable – Exhibit A, Exhibit B). While I still support brands on Twitter and other social media, I have seen so many bad examples, that I need to air my grievances about fellow marketers who are rushing to use this shiny new toy they heard about (for fear of being left behind) called social media. And, in doing so, are treating it like advertising, and tainting the landscape for everybody. Ahh – Cornelius Brothers & Sister Rose – you were so wise when you wrote “Treat Her Like a Lady.” You and many other romantics truly understand social media. We marketers should pay attention to those beautiful songs to have an equal understanding of how to interact in social media. Some marketers are like that guy who is verbally or physically abusive to his girlfriend. Sure, she trusted him at first – she may have even believed she could change him. But, what he did was jade her toward other men; perfectly good and well-intentioned men who just want to talk or listen. But she has every right to be jaded. Why should she trust you, or me, or any other guy (brand) from here on out? Why welcome them with open trusting arms, only to be blasted with abusive, one-sided messages, and unwanted garbage? Do you see what you did, jerk-faced marketer? You’re ruining it for the rest of us! We could be good for her. We could give her what she wants and needs out of a relationship. But you ruined it! Here’s what you did wrong. YOU ACTED LIKE AN ADVERTISEMENT. I know that for many of you, maintaining a relationship is one of the most difficult endeavors you’ve ever encountered. If that’s the case, you can use this blog post to improve your success in social media, and in your love life. You’re welcome. 1. Offer some value to the relationship. What do you offer her? Seriously, think about that question. Don’t tell me periodic discounts and links to your blog, Casanova. What does she get out of the relationship? Is the relationship all about you – all about what you can get out of her? For shame! Do something for her without concern of how it benefits you. 2. You must listen to your lady. This is HUGE! Would you want to stay in a relationship with somebody who just talks and talks and talks about themselves? Hell no. Nobody does. You aren’t that interesting – admit it. This is another example of a one-sided relationship. Listen to her talk about her day. And don’t listen with an eagerness for her to finish her sentence so you can talk about yourself again. Listen with genuine concern, because you care about her and you care about what’s important to her. Then talk to her about the things that are important to her. 3. Let her get to know you. Be a person, not a character. Open up – let her know what makes you tick. Let her know what makes you happy and sad. Share your life with her. Be vulnerable. Be sincere. It’s easy to act like you care for somebody when you actually care for them. She will love you for it. She will be loyal to you. 4. Do something nice for her, just because. Unexpectedly, do something nice for your lady. The pre-requisite here is that you’ve listened to her, and you know what she wants. Trust me, this gets you a long way for a long time. But you can’t give some thoughtless gift, like that little stuffed teddy bear holding a heart that you grabbed at the gas station 5 minutes before you got home. 5. Never think you’re better than her. Do you really think she should be grateful to simply be with you? You’re God’s gift to her, huh? Nope. A relationship is about mutual respect and understanding. A relationship is about love, trust and openness. If you want her to think you’re special, treat her like she’s special to you. 6. Continue to court her. Once she says she’ll date you doesn’t mean you’ve locked her in, and can do what you want. It will be much harder to try to get her back once you’ve lost her. So don’t lose her – keep showing her how much you want her. 7. There is no blueprint for romance. Romance is about knowing the other person, knowing what is important and special to them, and knowing what will excite them. If you don’t know that, you’re not in a strong relationship. So, remember, Twitter, Facebook, YouTube and the like are not new billboards for you to place your ad. You don’t have a right to be with the people here. But, you can be here. Be a person first (brands can be people with attitudes, feelings, convictions, etc), then seek relationships. If you can prove that you’re here to foster relationships, rather that extort them, you will be welcomed with open arms, and you will be loved. But don’t you dare make the mistake of thinking you can keep a relationship here without putting in the time, effort and care that any real-life relationship require. That’s right, a real relationship. And this time, make sure you treat her like a lady. I have read a TON of articles about using Twitter for business. Most of them pretty good. I think it is a brilliant tool for the businesses that are willing to participate. That keyword needs to be repeated – PARTICIPATE. Use Twitter like it isn’t just another outlet for your promotional message. Are you the kind of tool who goes to a dinner party and tries to sell something to everybody you meet? That’s how some businesses use Twitter. BUT – the businesses that treat this like an opportunity to have a conversation and a relationship that is valuable to its followers, they WIN. Below are the slides from an Ogilvy Twitter for Business presentation. Not brand new, but a good collection of tips for businesses that want to use Twitter to engage their end users and to listen to unfiltered conversations about their brands.